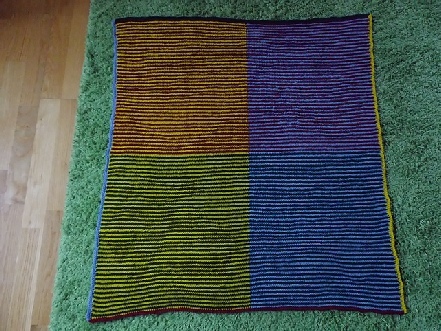 I used your pattern indeed to learn the technique of illusion knitting. It was so clearly explained that it wasn’t that hard to design an own pattern. 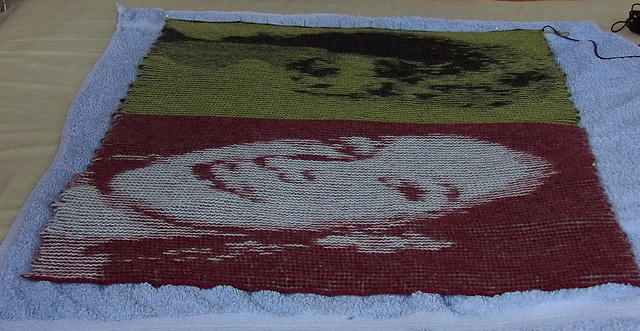 The original idea was making a marilyn monroe blanket for my sisters wedding, but then my husband said I should try making their faces, much more personal! 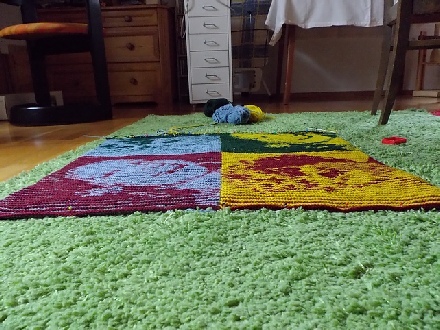 So I first made the blanket, was not very lucky with the clearness of his face, so I decided to make a more detailed version, which resulted in the cushion.